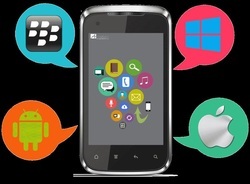 Mobile Development - Micro Endeavors, Inc.
Transform your business processes and customer communications with dynamic, integrated mobile applications tailored to your enterprise’s structure and needs. Turn to Mobile Application Development from MEI for a comprehensive solution suite to build, deploy and manage mobile applications that empower your employees and engage your customers. Combine data from multiple data sources and different parts of your company, such as inventory, marketing and customer history, into a single interface. Provide a seamless customer experience with user-friendly customer-facing applications that run on virtually any device and platform. Streamline inter-company work flow processes and communications such as approvals and checkpoints. Boost employee agility, efficiency and flexibility while performing business tasks and collaborating with customers.